Ram Mounts 1 in. Ball w/ M10 x 1.25 Pitch Male Thread - RAM-B-349U. features M10 1.25 pitch male thread connected to a 1" rubber ball. 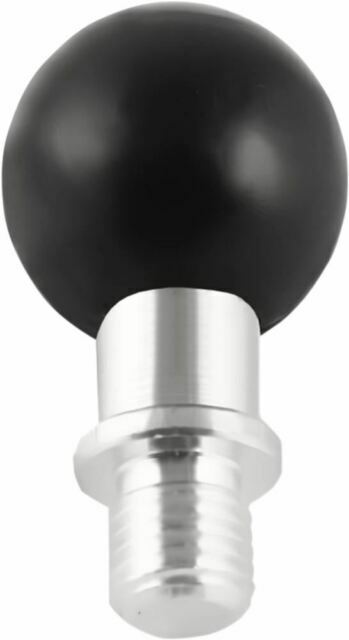 (1) 1" Ball mount W/10mm-1.25 threads. Powder-coated marine-grade aluminum and rubber construction.